A bookbinder—a craftsman who hand-folds, hand-sews, and hand-cuts books—is a dream client for many graphic designers. 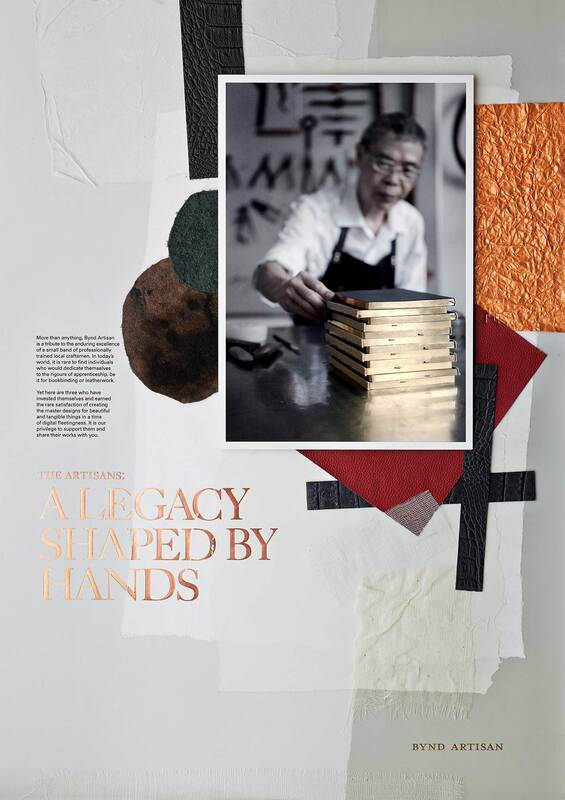 It’s no wonder creative agency &Larry were excited to work on the rebranding for Bynd Artisan, a new atelier set up by stationery and leather craft goods manufacturer Grandluxe to promote the craft of bookbinding in Singapore. Despite the client’s wealth of heritage and tradition (they go back three generations), &Larry was careful not to historicize the subject for the contemporary audience. Instead, creative director Larry Peh and his team went the modern and elegant aesthetic, a signature style of &Larry that has won the decade-old studio much acclaim, including most recently, Singapore’s President’s Design Award Designer of the Year in 2014.